Do you have recipes you reach for every fall? 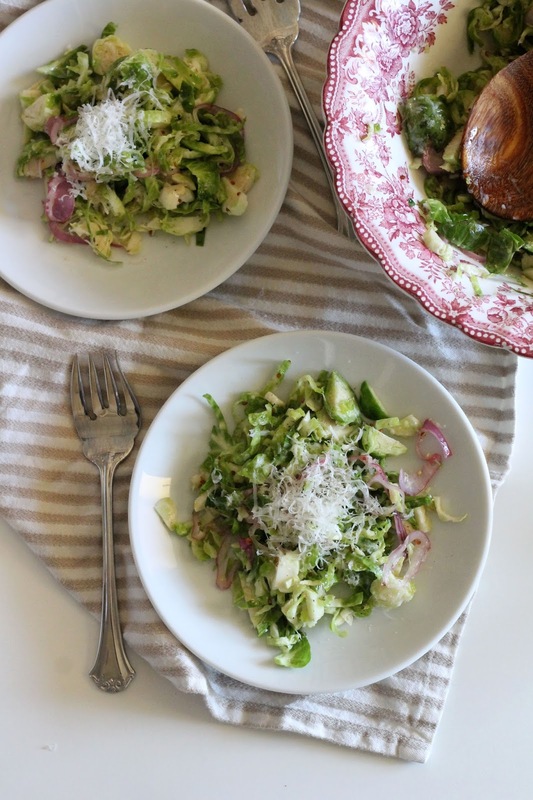 For me, this brussels sprouts salad is a constant go-to. 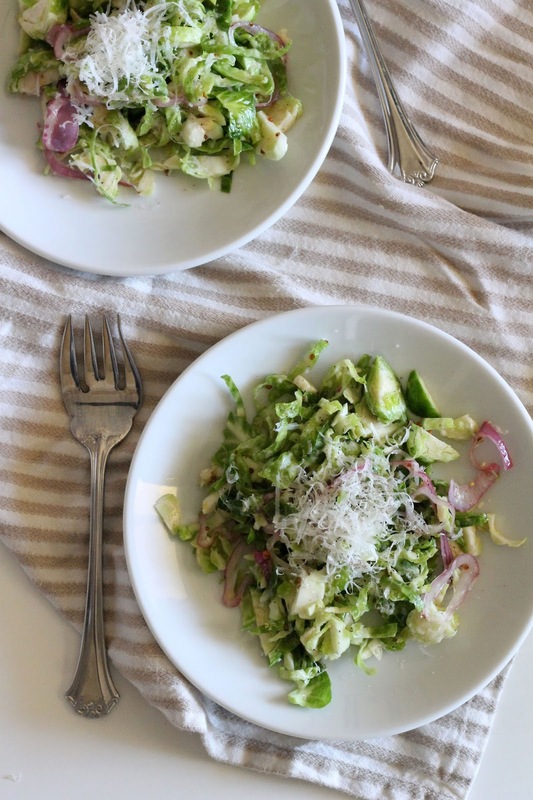 I love roasted brussels sprouts as much as the next person, but this salad is the light and tangy note that is often missed in colder months. 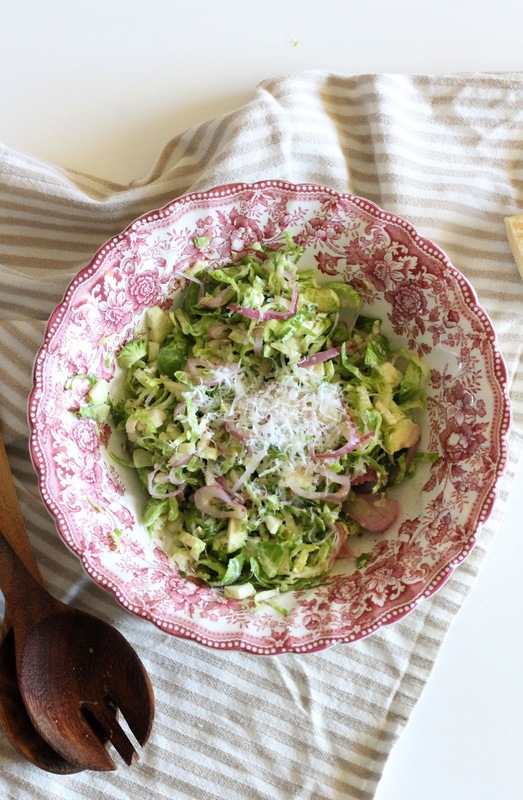 Brussels sprouts need a strong vinaigrette to offset their tough texture, and this one packs a punch. The lemon is refreshing and the parmesan adds a salty bit. Serve this along side your next roast for an unexpected dish. 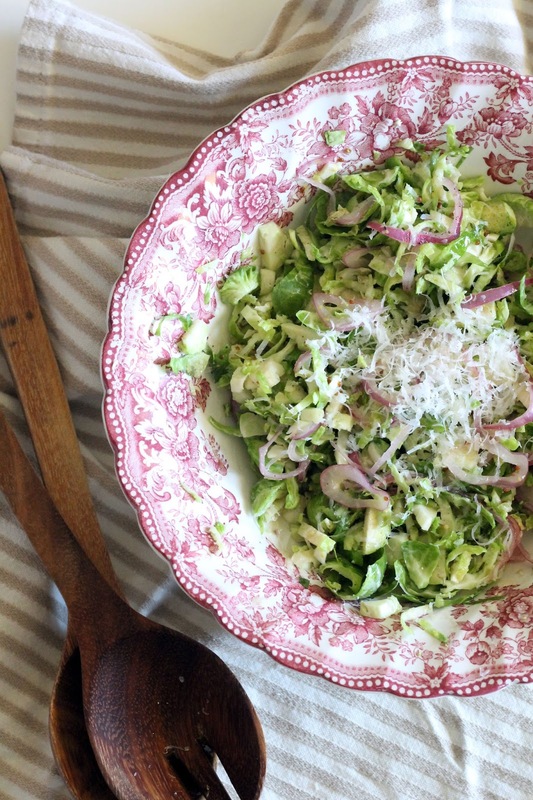 Place brussels sprouts in a large bowl and set aside. Whisk together lemon juice, white wine vinegar, whole grain mustard, salt, pepper, and olive oil. Once combined, stir in shallots. Allow shallots to soak in the vinaigrette for 30 minutes. 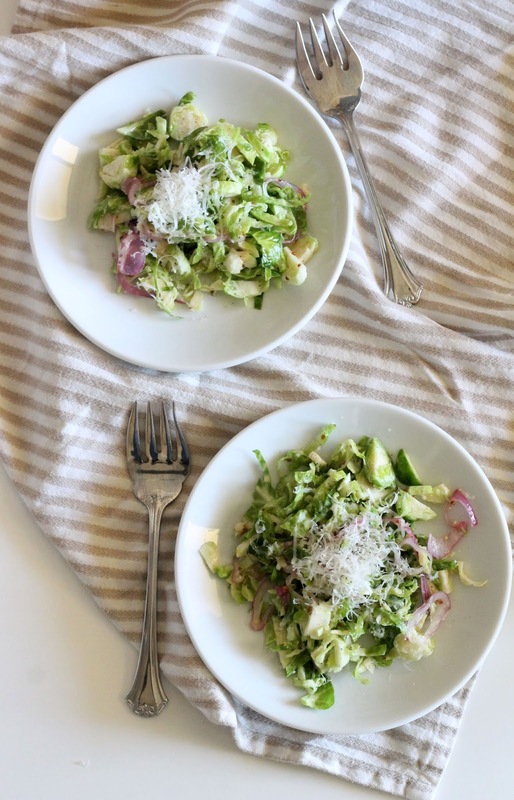 Toss the brussels sprouts with vinaigrette and shallots. Transfer to a serving bowl and top with parmesan cheese.